If you want to see the preview trailer of Obamacare, just visit Massachusetts. In its stab at universal coverage, now four years old, Massachusetts has seen these consequences: overcrowded ERs, longer waiting times to see doctors, more than 50% of primary care doctors closing practices to new patients, and the highest health care premiums in the nation. So much for lowering health costs and expanding access. And all of this in state with more primary care physicians per capita than any other state, in a state with fewer uninsured than any other state, and in a state with an individual mandate and a health plan said to be a model for Obamacare. 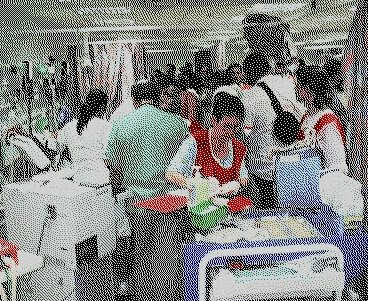 [NPR reports] “Hospital emergency rooms (ERs), the theory goes, get overcrowded because people without health insurance have no place else to go. But that's not the view of the doctors who staff those emergency departments, says NPR. The real problem, according to a new survey from the American College of Emergency Physicians, isn't caused by people who don't have insurance -- it's caused by people who do, but still can't find a doctor to treat them. • A full 97 percent of ER doctors who responded to the survey said they treated patients "daily" who have Medicaid (the federal-state health plan for the low-income), but who can't find a doctors who will accept their insurance. • At the same time, 97 percent of ER doctors also said they treat patients daily who have private insurance and primary care doctors, but whose primary care doctors sent them to the emergency room for care... because the patient's need for care arose during a time when that private doctor's office was closed. • Since these insured patients are more -- not less -- likely to use the emergency department, 89 percent of physicians in the survey said they believe the number of visits to emergency rooms will increase as the new health law is implemented. "Having health insurance doesn’t guarantee access to care. Period." we have a doctor/medical school shortage. the market wants 500 medical schools, we only have 161.